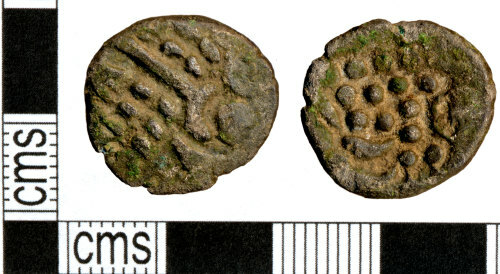 A base silver stater of the British Iron Age dating to 50 BC to 50 AD. A South Western uninscribed (Durotrigian) type. A stylised wreath on the obverse and a stylised horse on the reverse.